We are thrilled to announce a remarkable line up of special guests for the 2019 Arctic season. With voyages that offer spectacular wildlife, awe-inspiring landscapes and poignant visits to historical sites and remote Inuit communities, our guests will find themselves travelling alongside notable scientists, researchers, artists and athletes. 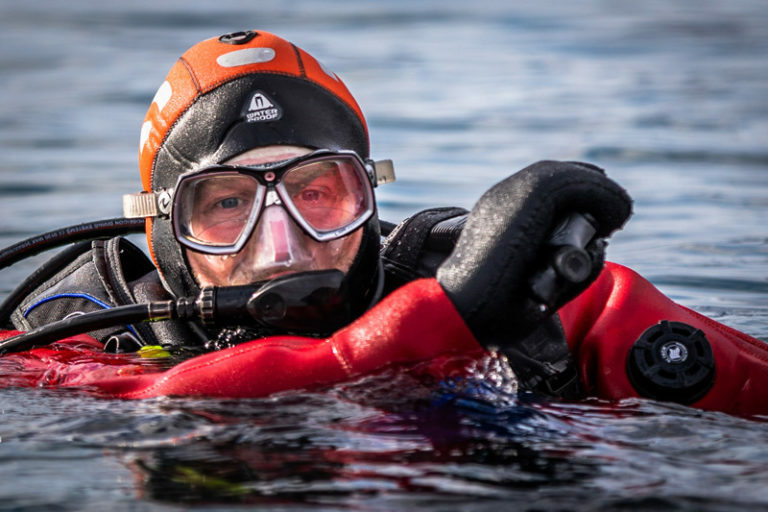 In 2018, for the first time ever, a team of specialized cold water dive researchers from Ocean Wise were able to dive previously unexplored sites between Resolute Bay and Grise Fiord in the High Arctic. The dive team, the only one of its kind in Canada, will be returning this summer to further study underwater ecosystems that have never been documented before, collect specimens, and monitor ocean temperatures to contribute to their study. We are committed to assisting them in their ongoing scientific research in the North. Artist, Filmmaker, soon-to-be-author and guest speaker Cory Trepanier will be joining the High Arctic Explorer voyage on August 2nd. 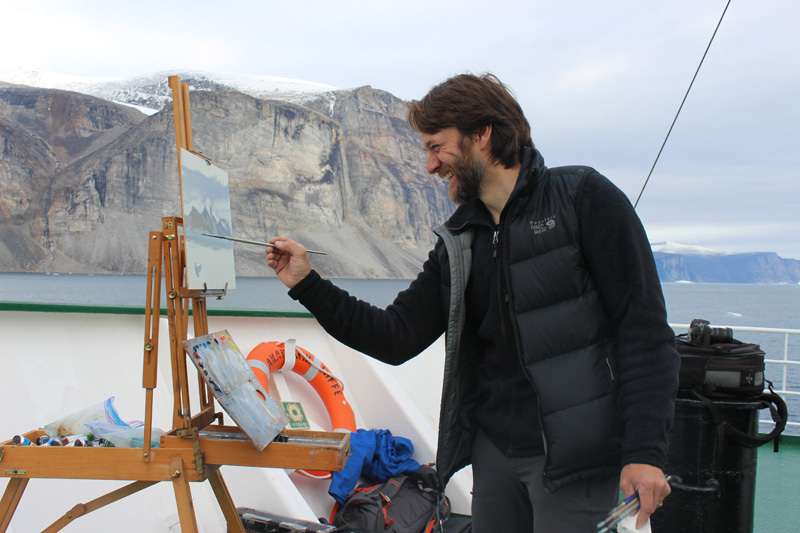 Passengers can join Cory as he teaches them how to capture the beauty of the Arctic through art. Sailing through parts of the Northwest Passage to the most northerly community in North America, Cory will interact and entertain with his enthusiastic stories of art, travel and adventure. 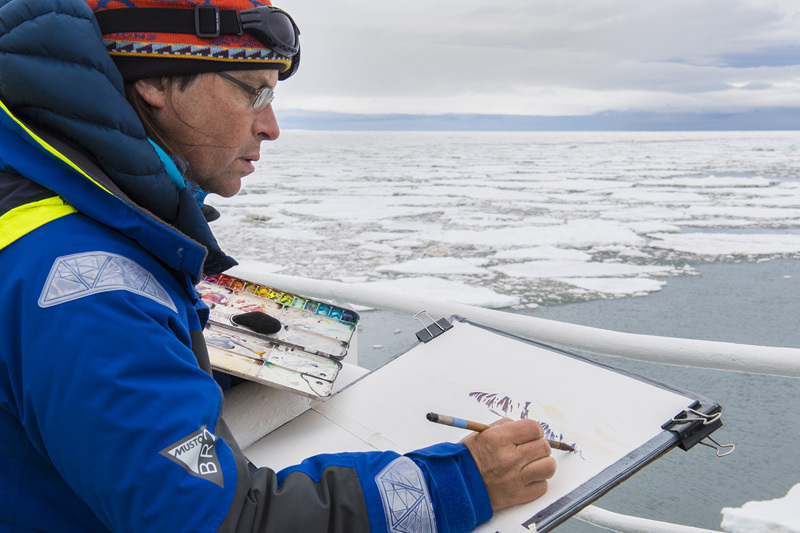 Cory Trepanier painting in the Arctic. 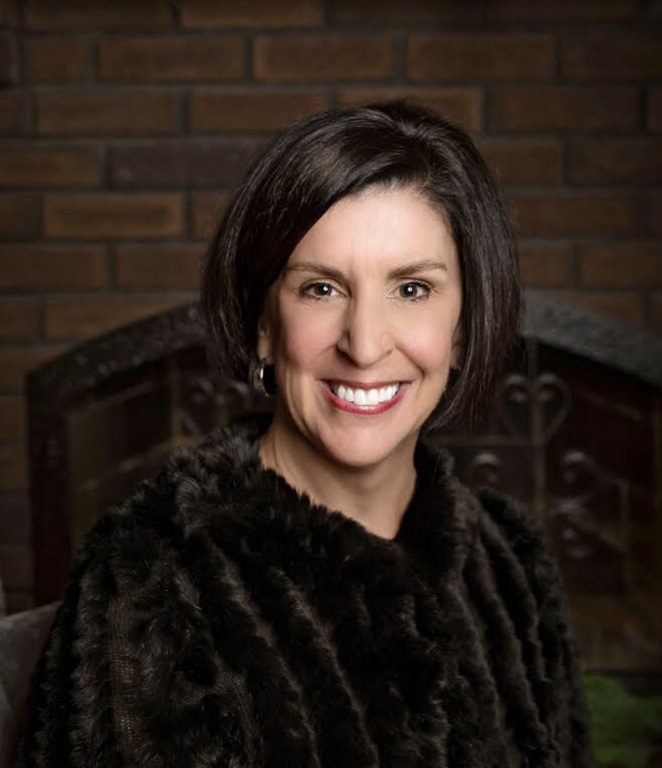 Photo by Beth Brown. Continuing with our Art in the Arctic theme, we are delighted to be welcoming renowned Canadian artist, Doria Moodie, onboard our Canadian Signature Experience, Baffin Island – Jewel of the High Arctic voyage, July 22nd – Aug 02. 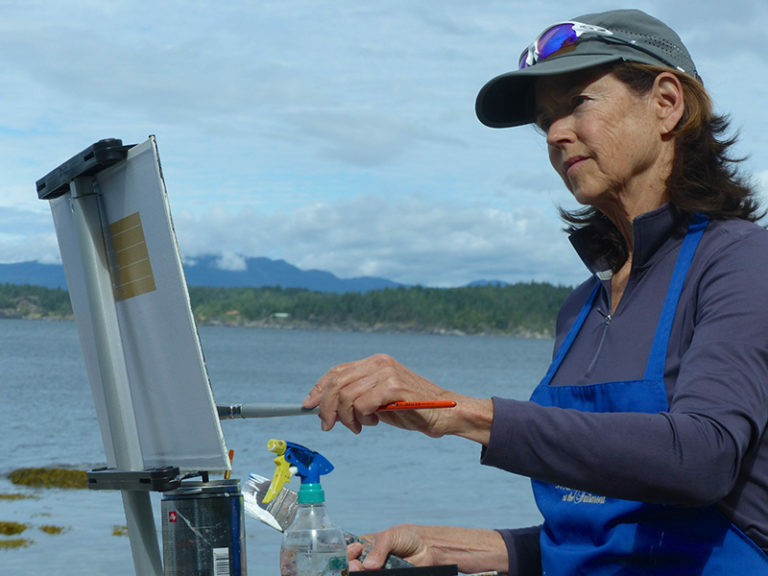 As our onboard Artist-in-Residence, Doria will be leading art programming through workshops onboard and in the field, in presentations and through personal conversations. Budding artists of all abilities will be assisted in creating their own interpretations of the landscapes, people and wildlife of the Arctic. 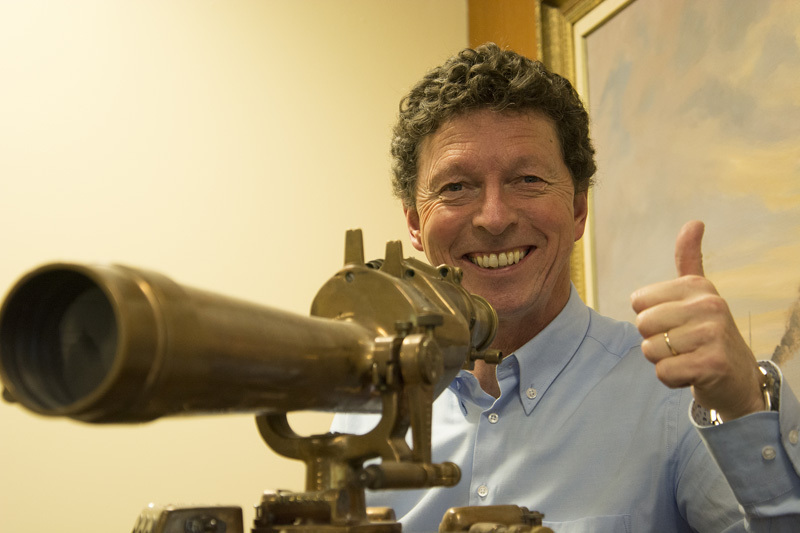 Dr. Joost Schokkenbroek, Historian and Executive Director of the Vancouver Maritime Museum, will also be travelling on the High Arctic Explorer in August. With a PhD in Maritime History and books published on whaling history and maritime art and artefacts, Dr. Schokkenbroek will be sharing his extensive knowledge with passengers through presentations and fireside chats. OOE Artist-In-Residence and Photographer David McEown is returning for a number of voyages in 2019. A master of using photography and watercolour to express the Earth’s wilderness areas, David will be joining the Baffin Island and Greenland Explorer August 9th. He will also be on the Spitsbergen Encounter Photography Symposium, led by RCGS Photographer-In-Residence Daisy Gilardini on June 19th, 2019. Also participating in the Baffin Island and Greenland Explorer voyage is Olympian and World Champion curler, Jill Officer. Jill will be bringing a floor curling set to the community of Iqaluit, Nunavut, as part of the #OOErocks campaign which will help connect communities across Canada through the sport of curling. 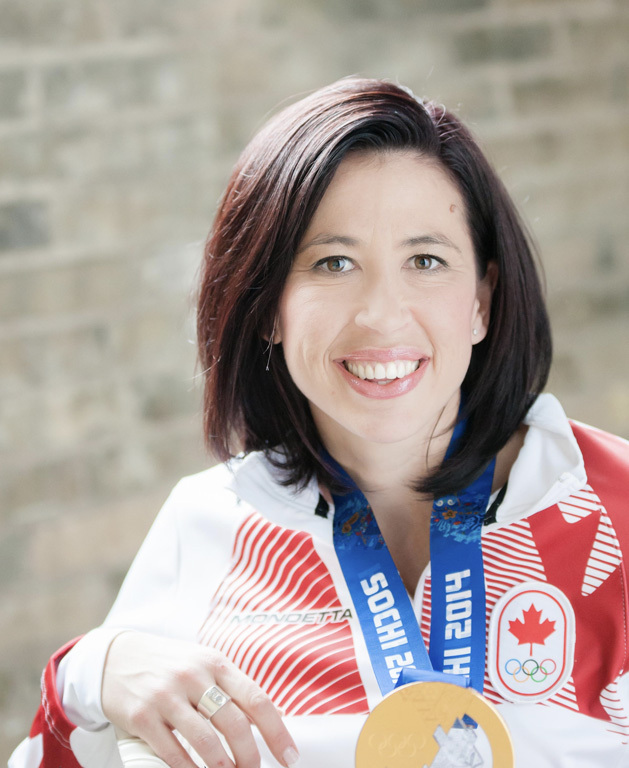 Jill will be sharing her Olympic experience as well as bringing her gold medal along for the journey. In partnership with the McMichael Canadian Art Collection, guest curator Dr. Nancy Campbell will be celebrating the importance of the launch of the Iniga Ilagiit virtual museum website while on board the South Baffin Explorer on July 30th, offering a unique opportunity and insight into the Inuit art world. David McEown will also be joining this art-infused voyage. 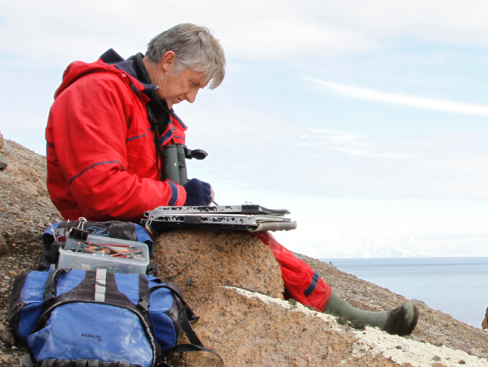 Artist-In-Residence and Naturalist Bruce Pearson will be joining passengers on the Spitsbergen Encounter on June 28th. Having won awards for his work, with his paintings and prints exhibited worldwide, art enthusiasts will delight in journeying with Bruce and learning from him first-hand. The Canadian Arctic offers unique experiences to the intrepid traveller’s quest for adventure and knowledge. One Ocean Expeditions believes that in partnering with special guests and bringing them along on select voyages, the guest experience is enhanced beyond all expectations, creating astonishing journeys and memories that last a lifetime. For more information on our Arctic voyages, click here. For more information on our Spitsbergen voyages, click here. To book any of these voyages, speak to your preferred agent, or contact our sales team here.